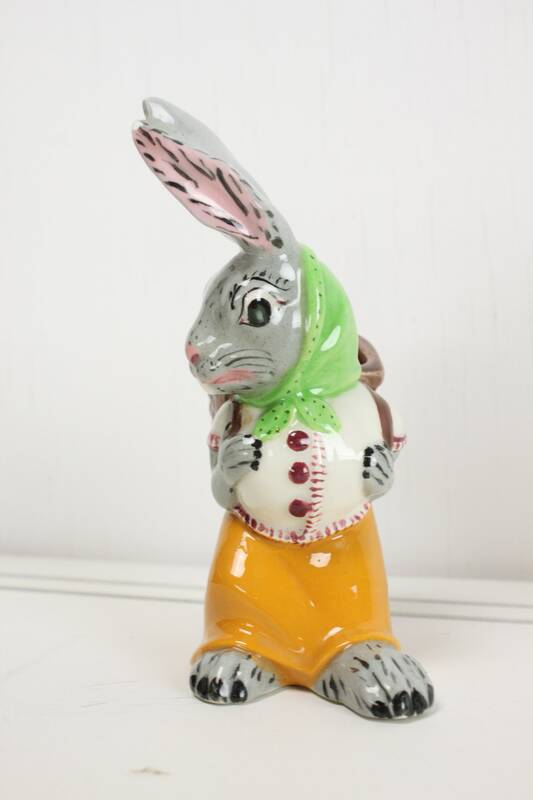 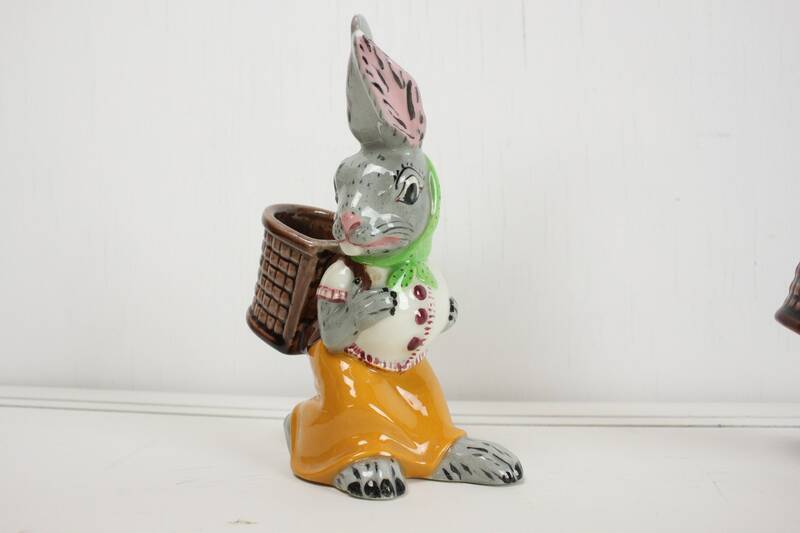 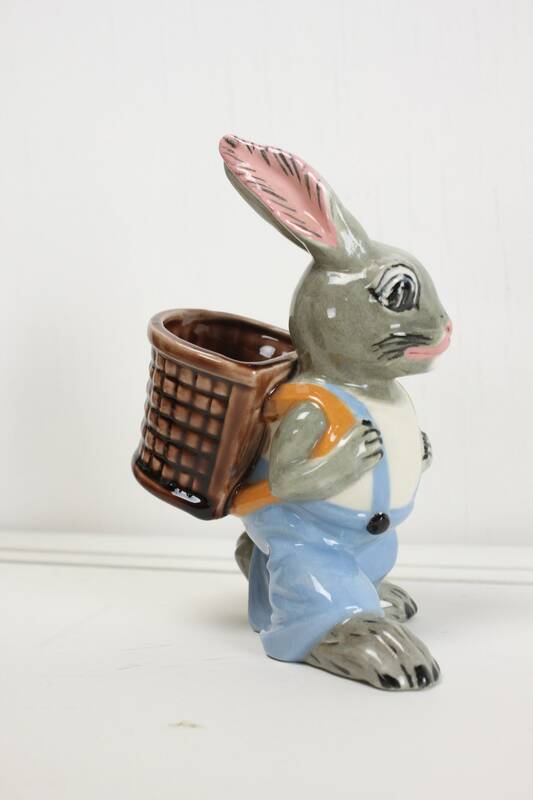 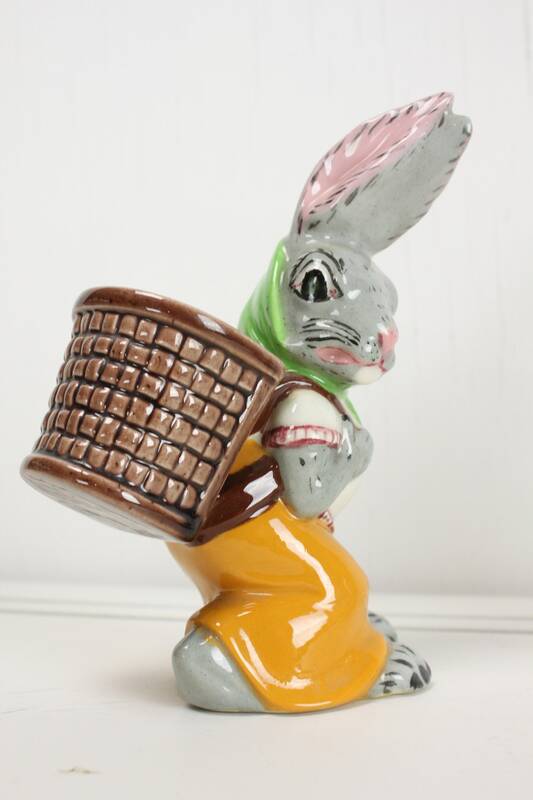 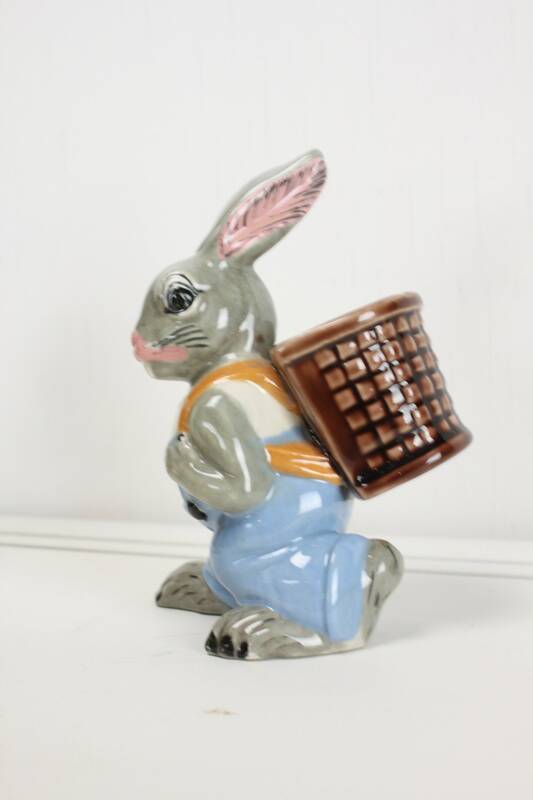 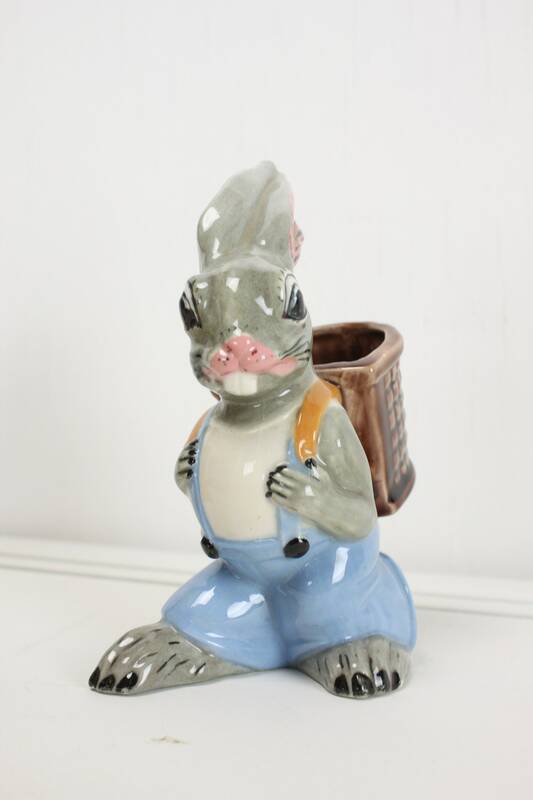 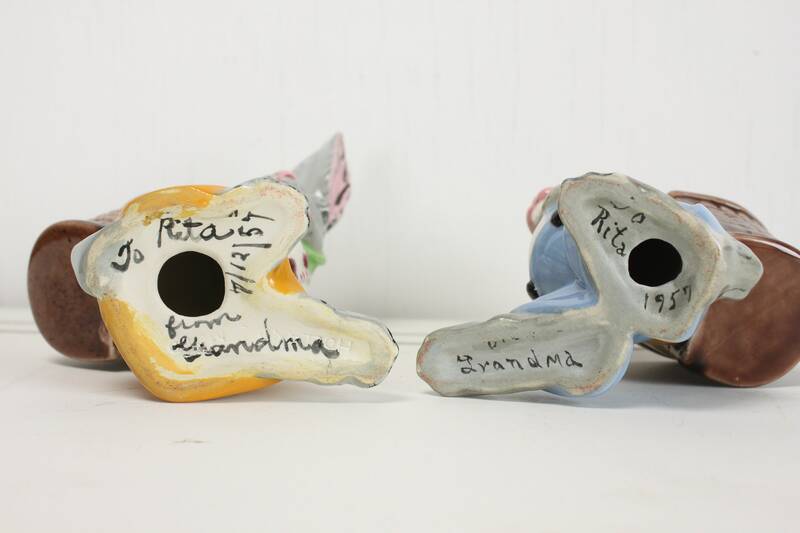 This wonder set of hand painted bunnies are in great condition! 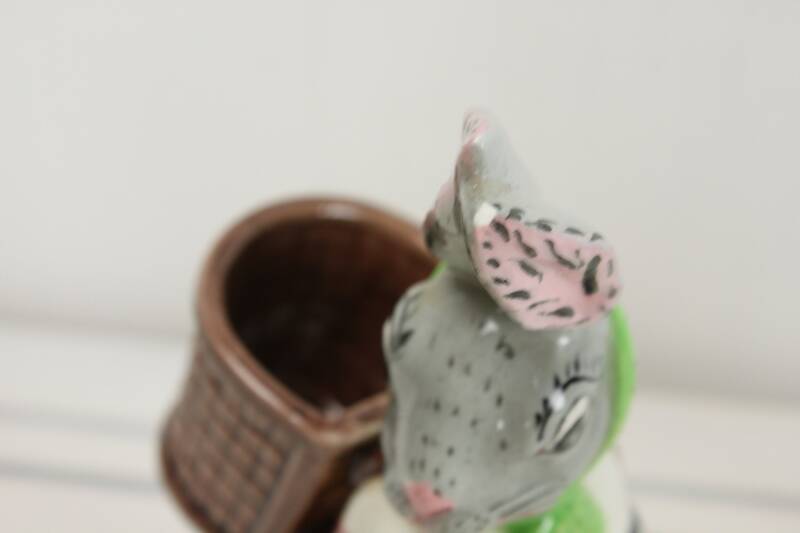 Perfect for holding toothpicks or as mini planters! 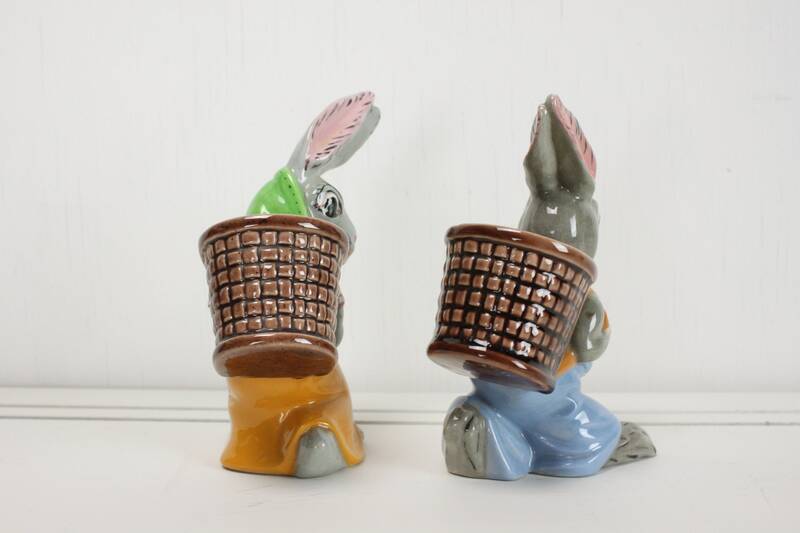 This set features a pair of bunnies (boy & girl) in "old world" attire and wicker foraging packs! 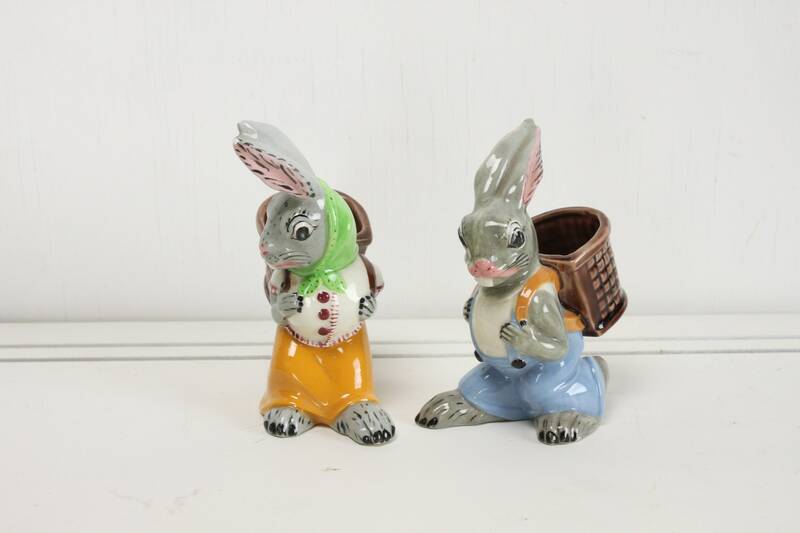 The bunnies are exquisitely painted - especially considering the fact that these figurines were ready made to be painted in an arts & crafts / amature setting.